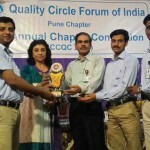 Pune-headquartered KEPL, a Kirloskar Brothers group company, was awarded Gold Trophies at an event organised by the Pune Chapter of Quality Circle Forum of India (QCFI) at their 29th Annual Convention on Quality Concepts. KEPL teams from CMM Inspection, Pump Machine shop and Turbine Machine shop departments presented case studies on quality improvement in the manufacturing process and shared their success stories. 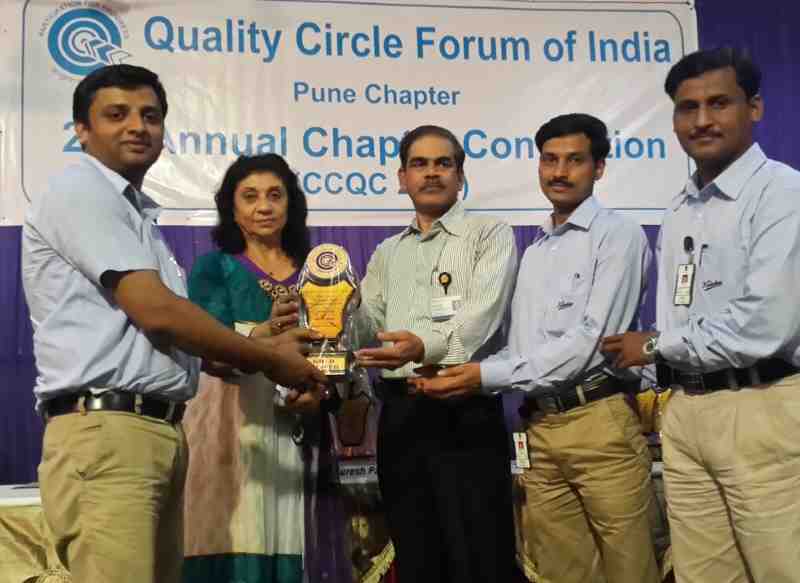 KEPL participated in this event with the Kaizen theme “Quality in everything” which is one of the prime values of the company. Under QCFI, Indian industry has experienced a phenomenal enhancement of its work processes and productivity. QCFI represents India in the 13 nation International Committee that has been set up for organizing International conventions on Quality Concept Circle, annually.